Alexander Graham Bell demonstrated his telephone for the Secretary of the Smithsonian Joseph Henry and his daughters at the Smithsonian, and at a meeting of the Philosophical Society of Washington that evening. Bell's first telephone patent had been issued on March 7, 1876, and a month later, Bell transmitted the first intelligible human speech over the telephone. As a judge for the 1876 Centennial Exposition in Philadelphia, Henry submitted a report praising Bell's invention. Bell's second patent, covering the "box" phone that he demonstrated during his visit to Washington, would be issued on January 30, 1877. 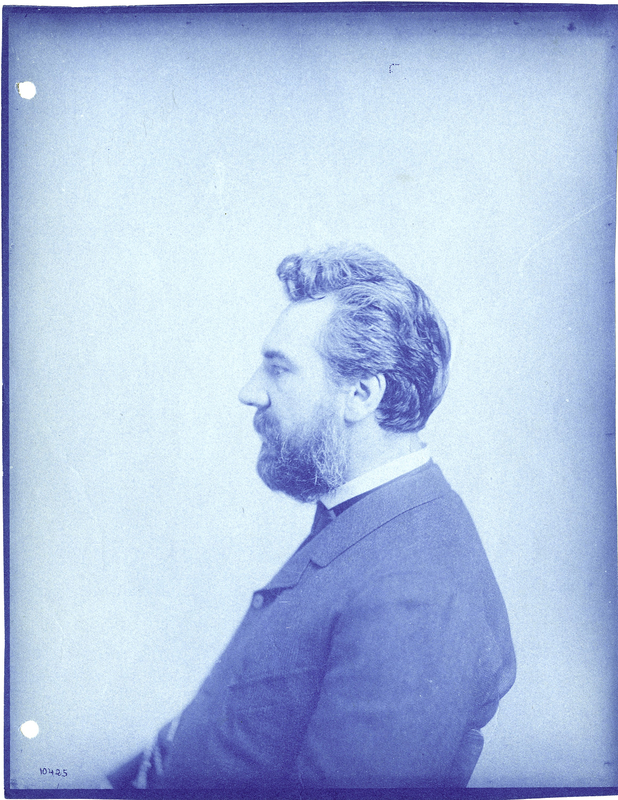 “Alexander Graham Bell Demonstrates Telephone for Joseph Henry's Family,” Digital Public Library of America, http://dp.la/item/842f67237ba235315fa57a4ee10ef9d3. Courtesy of Smithsonian Archives - History Division via Smithsonian Institution.